There is no clear cut, specific answer to this question. How often you repaint the interior of your home in Omaha, Nebraska for instance, depends on a wide range of factors. It could be that you’re just bored by looking at a particular color on your wall for too long or indeed your current paint job is starting to fail. Repainting is the perfect time to make changes to the color of your interior. 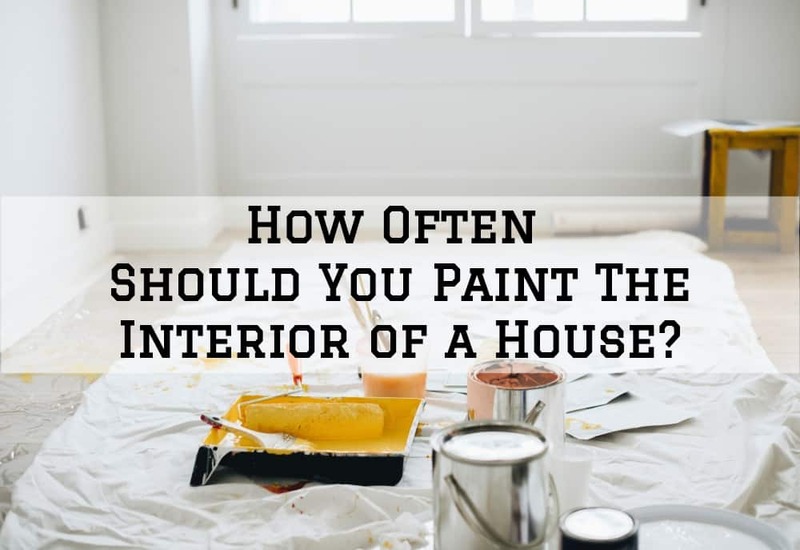 But even if you still like the current color, signs of paint failure such as fading, peeling, flaking, mold, and bubbling could mean that your interior needs to be repainted. The interior is also prone to different kinds of stains which can warranty repainting at some point. As you may have already noticed, your interior paint job may deteriorate at different rates in different rooms and spots. This depends on how the space is used and the amount of traffic it handles. Here is a more detailed look at how often you should repaint different rooms in your home. Bedrooms don’t generally see much traffic compared to other sections of the house such as the kitchen and the bathroom. However, the paint job in an adult’s bedroom will typically last longer than the kid’s bedroom. Kid’s bedroom also sometimes double as playrooms and this means they receive more abuse. If your kids are constantly making a mess on their bedroom’s walls, the paint is more likely to wear down quickly. It’s often recommended to use the best quality of paint here with a higher sheen. Kid’s rooms can, therefore, be repainted after every 2-3 years, which is generally more frequent than other bedrooms. These areas also see quite a lot of traffic which translates to more wear and tear. Since the walls here are most often used and sometimes ‘abused,’ they will show finger marks, dents, scuff marks and even fine cracks below the surface. It’s also always advisable to use high-quality washable paint in these areas which can easily be wiped or washed occasionally when there is a need. A more expensive, high-quality paint will save you money in the long run here. If the minor dents and paint scuffs are at the corners of the walls, they can be patched and touched up using the same paint. Visible cracks and dents in the middle of the wall may require repainting the entire wall section. Generally, hallways and corridors require repainting every after 2-3 years. Kitchen and bathrooms are probably the most exposed to damaging elements in your house. They’re the busiest with the highest potential of damage and hence will require more frequent repaints. Kitchens should preferably be painted with high-quality washable paint that allows you to regularly wash off and scrub the grease, smoke, and stains as they show up. When it comes to bathrooms, the main damaging factors here are moisture and humidity. Paint is more likely to peel off and bubble in these areas if it’s not properly applied and maintained. High gloss water-based paints are recommended in the bathrooms. Expect paint jobs to last about 3-4 years in the kitchen and bathroom. While these two areas are used quite often, paint tends to last a little longer. A lot of activities in these areas tend to be a bit more formal, and they happen away from the walls. But still, you need to use high-quality paint with more attention to details because walls in these areas are often used to display décor. Thankfully, things like furniture, floor lamps, plants, and drapers often act as a buffer to limit people from touching the walls. 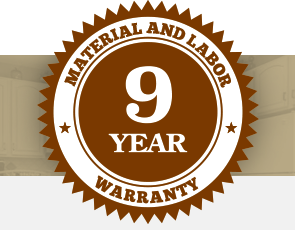 Unless there is a major reason to warranty more frequent painting, we generally expect the dining room and living room to be repainted every after 5-7 years. Of course, you have an option to repaint the entire interior of your home depending on the status of the current paint job. Generally speaking, many homeowners in Omaha, Nebraska repaint their homes every after 5-7 years. If you see any signs of paint failure such as fading, peeling, bubbling or cracking, it’s probably time to contact a professional painting contractor.